"Mom! I want to grow pumpkins." I didn't think much about my son's request when we were setting up our garden last spring. "Pumpkins? Sure, no problem, just grab some seeds. We planted two hills at the appropriate time, and soon had beautiful blossoms. Growing pumpkins didn't prove to be that easy though. Suddenly, a whole hill died, and the second was sickly. 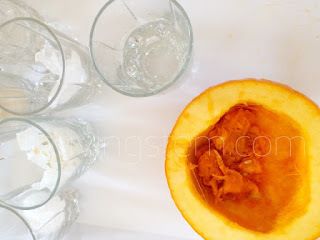 We might have fared better with our pumpkin growing project if we had taken into consideration the information gleaned from this pumpkin experiment developed by my kindergarten daughter. She was super excited about it, and I bet your kindergartners will like it too. 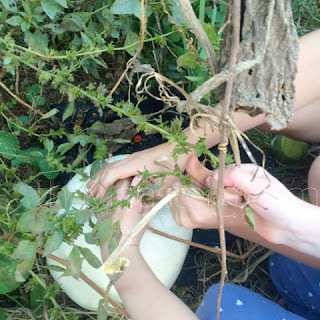 This experiment would be a great first step toward fulfilling NGSS standard 1-LS1-1: Use materials to design solutions to a human problem by mimicking how plants and/or animal use their external parts to help them survive, grow, and meet their needs. 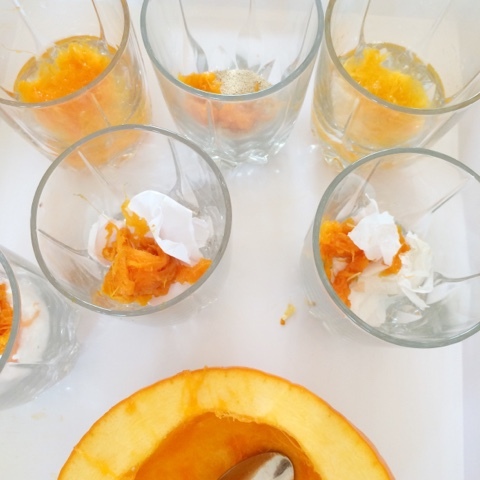 When I suggested that we might conduct a pumpkin experiment, my daughter knew exactly what she wanted to investigate. " How does pumpkin pulp effect paper?" 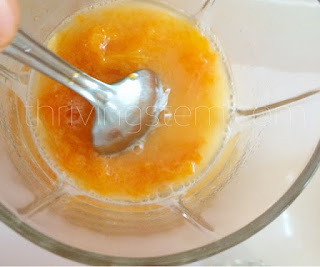 I convinced her to mix pumpkin pulp with a few other substances as well. I knew that yeast was likely to react, so I suggested it as a possibility, and let her pick everything else. 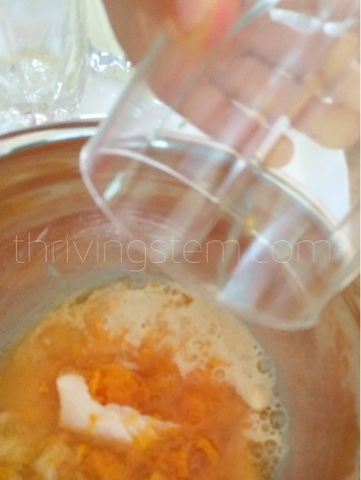 We ended up mixing our pumpkin pulp with drawing paper, a napkin, water, vinegar, yeast, and baking soda. Allowing your kindergartner to choose her own reactants is an important part of making this a fantastic experiment. Step 1: Place a small amount of each potential reactant in its own cup. Step 3: Mix a little pulp with each reactant and observe! We found that water proved fairly tame. 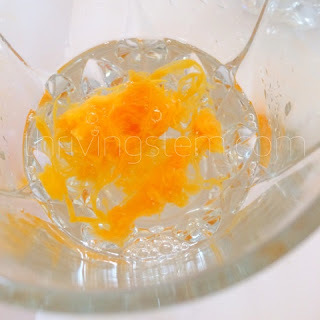 The vinegar was fizzed pretty well. The dry ingredients didn't do much, so I suggested using water as a catalyst to help make something happen. It worked in one case! 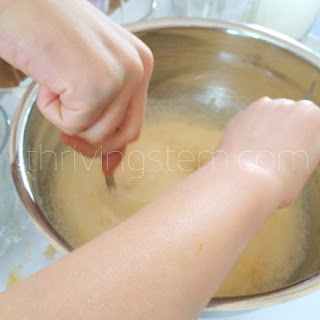 After all the reactants had been individually mixed with the pulp, my lead chemist and her assistant (aka older brother) decided that they wanted to know what would happen if all ingredients were mixed together. Would you believe it? The paper was the ingredient that sent the whole thing fizzing like crazy! Time to play in the fizzy pumpkin brew! If you are working with a whole class, you may want to brainstorm possible reactants several days ahead of the actual project. On the day of the project you can let groups of three or four students take responsibility for one reactant. Each group can add the pumpkin in front of the class and describe what they see. Don't miss out on throwing it all in one big bowl! We discussed which reactant reacted best with the pumpkin pulp, and what this told us about the role of the pumpkin's flesh in nature. My little scientist had not really considered that the plant parts were for the plant's benefit before. I would like to come back to a similar project with a different plant, or maybe two, before moving on to using the information to design something for human benefit. For example, maybe next year we can get more than one pumpkin out of our patch. 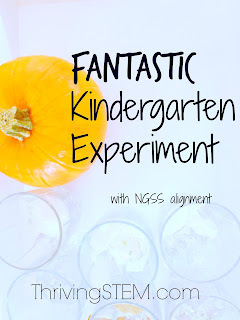 Today I'm joining with the Kindergarten Blogging team to bring you a whole set of harvest themed activities that will be perfect for your kindergartner. Check out what my team mates have come up with! Now I know exactly what to do with the pumpkin guts when we get to carving this weekend! My 3 little scientists will love this. I'm so glad you shared it. Yay! That's why we don this:). I hope you have as much fun as we did. 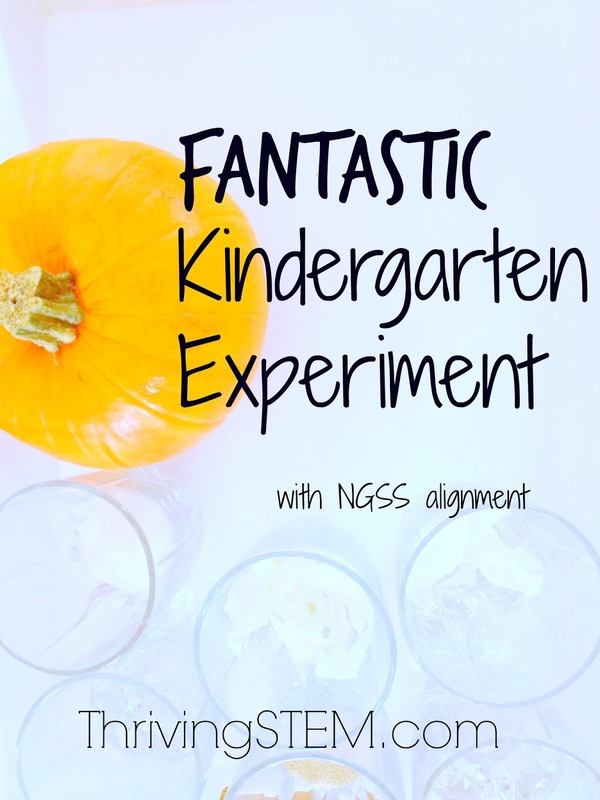 What a fun experiment! We planted pumpkins a couple years ago and they took over the garden. They vined everywhere and we got maybe two pumpkins. Hmm, so it isn't just us. The one we for was actually in the middle of the tomatoes! It sounds like your daughter is quite the scientist, knowing exactly what she wanted to experiment! Hope your pumpkins have more success next year! That she is! Thanks, I hope we can do a little better. 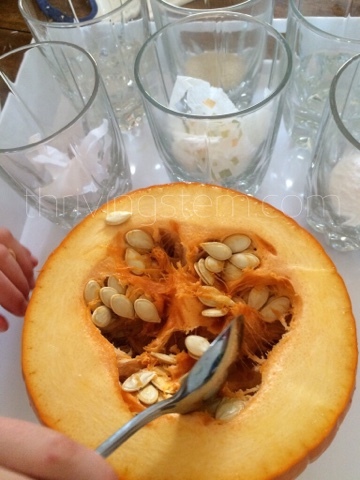 I hadn't thought of doing this with the insides of the pumpkin before. 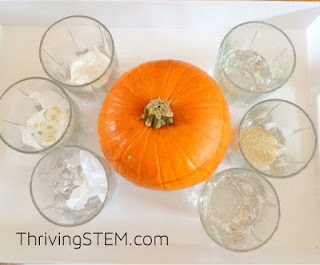 We were planning on exploring the insides of a pumpkin this weekend and will have to add this science to our list! That's what I love about following my kids' lead. They come up with so many great ideas I would have missed. Way to go bringing science into young lives!